While pollinators may come in small sizes, they play a large and often undervalued role in the production of the food we eat, the health of flowering plants, and the future of wildlife. A decline in the numbers and health of pollinators over the last several years poses a significant threat to the integrity of biodiversity, to global food webs, and to human health, according to scientists. 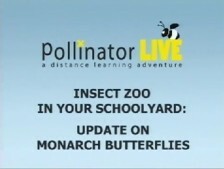 PollinatorLIVE provided webcasts for students in grades 4 to 8. There are 12 webcasts and 3 webinars. 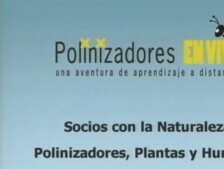 Si bien los polinizadores son pequeños en tomaño, desempeñan un papel importante – con frecuencia no reconocido – en la producción de nuestros alimentos, en el futuro de vida silvestre y en el crecimiento saludable de las plantas. 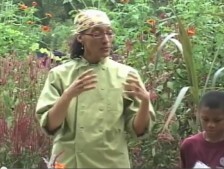 Join us in the Pollinator Kitchen, learn about composting with Woodsy Owl and watch the Rubbish Rot Rap. Bees aren’t the only pollinators in the garden. Learn about bats, beetles, flies, and other insects that pollinate plants. Originally webcast on September 29, 2010. Learn about our native and honey bees, the important role they play in the environment, threats to these pollinators, and how you can help. Originally webcast on September 29, 2010. Green dreams sprout at the Washington Youth Garden where students plant and harvest vegetables and tend native plants. Originally webcast on September 29, 2010. 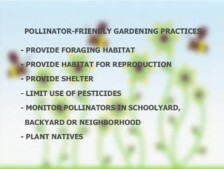 Learn what you can do to help pollinators in your school garden or community. 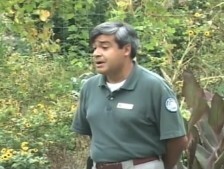 Dr. Chip Taylor, Director of Monarch Watch, fills us in on the latest research on monarch butterflies. 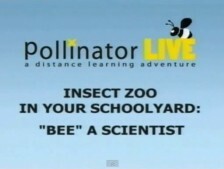 Bee Hunt enables you to take an exciting safari in your backyard, using digital cameras to do real science. Join Sean Brady and Nate Erwin from the Smithsonian’s Natural History Museum and Insect Zoo, and take a closer look at local and exotic pollinators. Scientists and educators explain pollination, plant-insect interactions, how to study pollinators, their importance to the food supply, and what people can do to help. 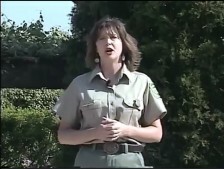 This program was webcast from the National Zoo in Washington, D.C. on May 12, 2010. One out of every three bites of food arrives on our tables as the result of a pollinator. What is pollination and how does it work?Learn about pollination, pollinators, and foods that result from pollination. 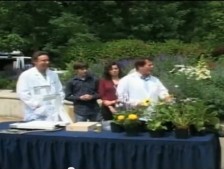 This program was webcast from the Washington Youth Garden at the U.S. National Arboretum. Learn about our native bees and honey bees, tour the youth garden, and learn how good nutrition and pollinators are connected. This webinar presented ideas on how to get started and how to use an outdoor classroom to meet education standards. 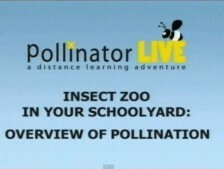 A web seminar was held about studying pollinators in the field and classroom. Discover Life has several projects to understand plant-insect interactions designed so that everyone can participate and contribute to real science studies. 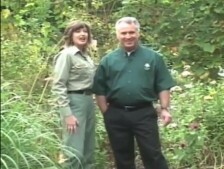 Nature's Partners is an inquiry learning-based curriculum that can be use in the field or classroom. A web seminar was held about schoolyard gardens. One way to help pollinators and reconnect today's children to the outdoors is through gardening. Schoolyard gardens can be outdoor classrooms where they hone their academic skills and nurture their innate curiosity and creativity. 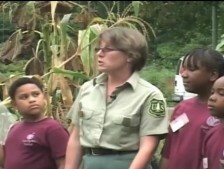 Eliza Russell and Nicole Rousmaniere from the National Wildlife Federation discussed essential features of schoolyard gardens. Principal Cindy Wrenn discussed how the garden was planned with an instructional focus and the ways it continues to be a central part of the K-5 curriculum.